Rune Lindblad was born in Gothenburg, Sweden in 1923 and began composing music in 1953. This was a time when composers in Germany and France were feuding over the merits of electronic music made by pure wave oscillators versus musique concrete, which used the tape recorder as its main instrument. Rune Lindblad however did not see these genres as mutually exclusive. In fact, Lindblad extended his work to incorporate other mediums along with his approach to music. Deeply involved with woodcuts and painting Lindblad was already experimenting with using damaged 16mm film in his "Optica 1" as early as 1959. Not surprisingly, since Lindblad represented no institutionalized school of thought his experiments went unnoticed for many years with the exception of his demonstration of musique concrete in a concert at Folkets Hus in 1957 where the audience demanded their money back and the critics called his concert "pure torture. 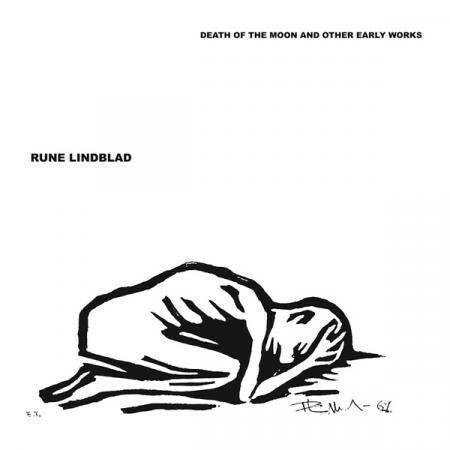 Until the LP retrospective published by Radium in 1989 there were only 2 recordings of Rune Lindblad's compositions. One was the single side of a 7 record released in 1957, the other a full length album published in 1975. Both of these recordings were poorly distributed and remain fairly unknown. Rune Lindblad has taught at Gothenburg University: among his students are Rolf Enstrom, Ake Parmerud and Ulf Billing. The music on this record has lain dormant for almost 35 years. It was recorded at a time when Lindblad was forced to borrow equipment from the University in Gothenburg in the evening and have it returned by sunrise the next morning. These compositions are essentially tape music, where individual performances are fed back and forth between tape recorders in a style represented by the technical limitations during this time period.